When it comes to designing the interior space of a modern academic Library, the presence of a coffeehouse is quickly becoming the new rule. Thanks to the Freudian Sip, CSUN’s Oviatt is no exception. 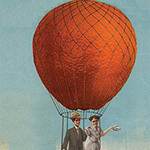 Coffee is an evolving culture that has become synonymous with academic life. When strolling through the Oviatt Library, the Freudian Sip logo and the aroma of freshly brewed coffee is everywhere. Libraries are welcoming this burgeoning culture with open arms. Curator and Archivist Kelsey Knox talks about the Library’s new exhibit and shares some of her personal connections to “California’s Call: The Lure and the Lore of the Golden State.” Over 200 items from the Oviatt Library’s Special Collections and Archives have been gathered together in the Library Exhibit Gallery to showcase the ongoing myth of California as the “land of promise” or “golden state” and the role it has played as a popular destination for vacationers and settlers in the United States during the last two centuries. With spring in full swing, we thought it an appropriate time to share some insights into the essential work that is involved in the ongoing care and cultivation of our Library garden. It is difficult for librarians, book lovers that we are, to take part in a process that actually removes books from the shelves. Yet, as libraries are becoming more assessment driven and therefore more data driven, we are discovering that student requirements are changing. 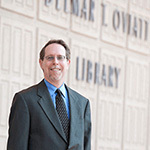 After 37 years of dedicated service to California State University, Northridge and the Oviatt Library, retired Librarian Kris Ecklund continues to support the impactful work and inspiring legacy of CSUN librarians. 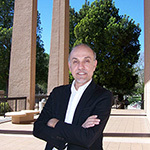 These days, CSUN Emeritus Librarian Kris Ecklund lives far away from the San Fernando Valley. Her current house sits on a hill in Sequim, a small city perched on a bay in Northern Washington State just across the water from Canada. 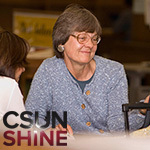 Even with all those miles between the Oviatt Library and her current home, Ecklund has never forgotten the place where she spent more than thirty years doing the work that she loved so much. CSUN alumnus, award winning educator, Oviatt Library Cataloging Coordinator, and Brasileiro, Luiz Mendes, talks openly about his passion for information organization, and his love of teaching.